Palmers FlipBalm - How Do You Flip? 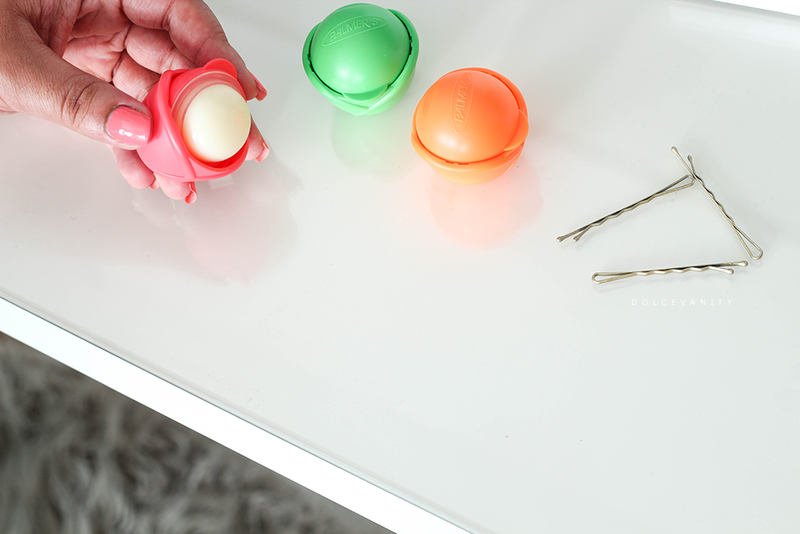 A latest lip care product from Palmers are these FlipBalms, quite simply the lids flip and slide back for usage and you slide it back and it clicks back in place. I don't think I've ever seen a flip top dispenser like it before, the first few times opening it my nail did cut through the balm. The colour coded FlipBalms are: Pink "Juicy Watermelon", Green "Creamy Coconut" & Orange "Ripe Mango". Palmers describe it as an ultra moisturising formula, I'd have to agree, it's very moisturising and it gives a nice clear sheen to the lips with a subtle hint of flavour to them that I can lightly smell as I inhale after application. All of them are made from pure Cocoa Butter & Vitamin E, soften & soothe dry lips. Free of nasties : No Parabens –No Phthalates –No Petrolatum –No Gluten. I love how they smell, I did find the scent to be more potent when it was first opened and even in the packaging I could smell the scent slightly but it either starts to lose the scent after being repeatedly opened & used or I've become accustomed as I do still smell it. Plus if I lick my lips at any point it's not an unpleasant taste - but keep in mind, even if they smell appetizing - it's not food! I've liked wearing these over the past week, easy to find in my bag and it works. Have you seen these? Interested in trying? These look like a fun product. Really like the bright packaging!